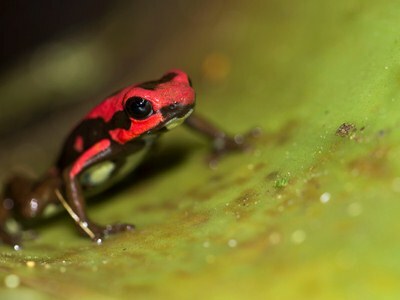 Amphibians globally are threatened by habitat fragmentation, destruction and by climatic changes, because of this it is important to realize studies that allow conserving them and the places they live in. We will achieve a better understanding about the principal threats and population status of endangered species of amphibians in the Natural Regional Park Barbas-Bremen, also, build strategies with the inhabitants of the area to conserve this important area. We will evaluate the population status of four threatened species in the Natural Regional Park Barbas-Bremen with linear transects and litter plots, and with diurnal and night sampling. We will conduct environmental educational campaigns with the surrounding community to explain the importance of amphibians in ecosystem so that they can help in the conservation process.